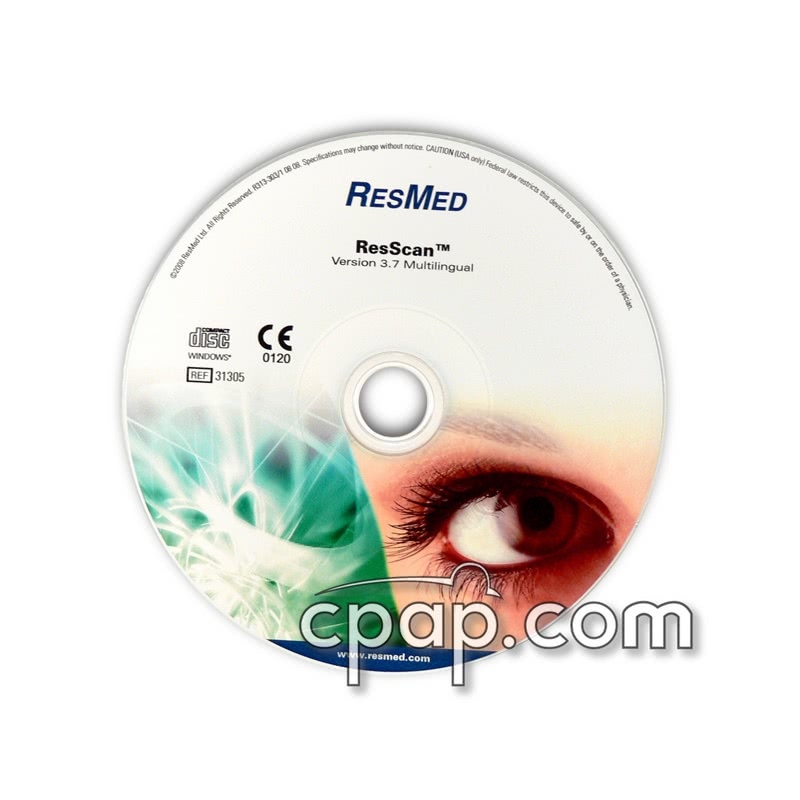 ResScan Version 3.7 offers an easy to use therapy management system that is compatible with all ResMed machines. Version 3.7 also allows S8 and S8II CPAP users to upload data to any Windows-compatible computer. 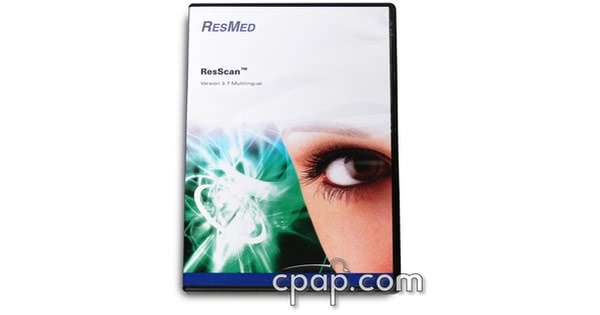 ResScan monitors up to 365 nights of therapy effectiveness data. The software offers information on flow generator, Apnea/hypopnea events, mask-off alerts, mask leaks, and up to five nights of advanced therapy data. ResScan software provides report data through four main profiles. User compliance data can be viewed for the past 365 nights. The User Profile provides basic therapy data such as days used as well as mask-off events. Apnea/Hypopnea Index, air leaks, and pressure requirements are summarized within the Treatment Profile and helps in analyzing long-term therapy effectiveness. Use the Night Profile to view detailed graphs of individual treatment over the last five nights and displays therapy transitions with oximetry at 30 night increments. The Statistical Profile reports the median averages over a range of dates between usage and treatment data. This is the Software CD Only. 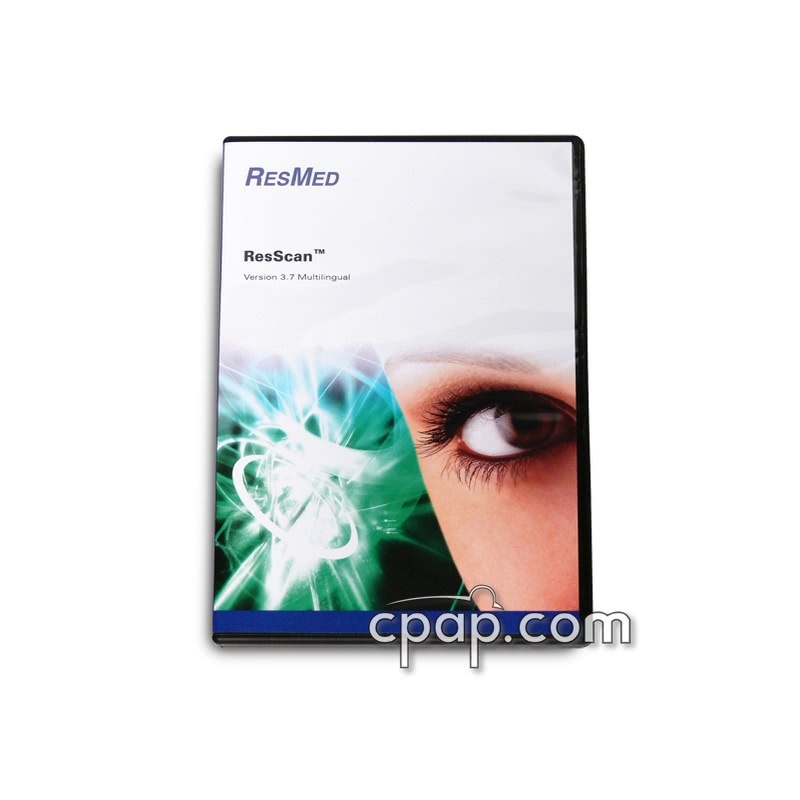 To utilize this software, you will need either the ResScan Smart Card Reader, which uses the Smart Card that comes with your ResMed Machine. You can use the ResScan USB Adapter, which transfers data without the need of a Card Reader or Smart Card. Do not attach the card reader or ResScan USB Adapter until instructed by the Wizard. This software works with S8 and S8 II machines. Version 3.7 is compatible with Microsoft Windows Vista.